My dad was one of the original “real estate flippers.” While HGTV has made this glamorous, I can assure you, it was borderline craziness when my father did it in the 1960’s and 1970’s. I moved a great deal as a child – 12 times in third grade! My father bought and sold houses as we made our way across the United States, from Colorado to California to Washington State to Florida. My dad had an eye to see the structural features of a home, despite any shortcomings in décor or disrepair. He also was able to envision the property updated or the floor plan re-worked. He showed me what to look for and where easy changes could be made to improve the flow and utility of a home. Real estate seeped right into my blood. As an adult, I married very young and had two beautiful children, first a girl and then a boy. We originally lived in Ft. Lauderdale, Florida but moved to greater Orlando, Florida when the children were still quite young. Unfortunately, my marriage ended while my children were still in elementary school. Part of the reason was that I started to attend college and loved learning! I was growing personally and that made my then-husband uncomfortable. He gave me the ultimatum: “Either quit school or I’m divorcing you.” After the divorce, I needed to earn a living, and found a job with SunTrust Bank. I worked and decided to finish my degree at the same time, continuing with night school. This was a very difficult time as I was raising two children, working full time, and managing two evening classes as well. I was dedicated to raising my children, performing well at work, and studying, so it ended up taking ten years of persistence and dedication to get through the degree program. Finally, in 1997, I proudly graduated from Rollins College with a B.A. in Managerial Organizational Communication. 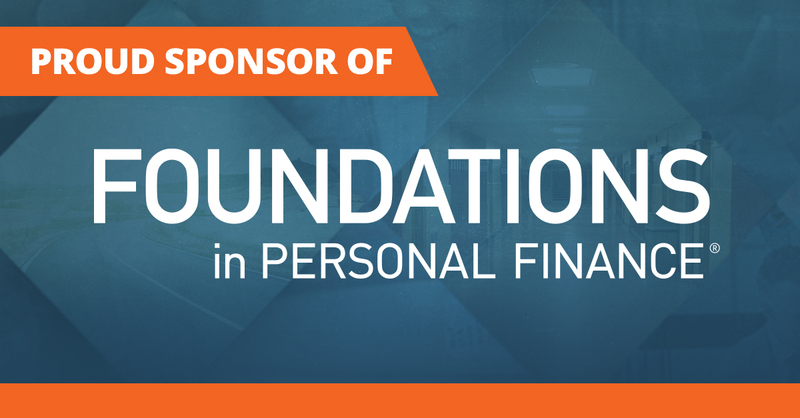 This degree created upward mobility for my career at SunTrust, and I began to work with private banking customers. I helped these high net worth individuals with their lending and mortgage needs, as well as with any other banking assistance they required. I learned to look at the requested transaction in light of the customer’s overall situation, both financial and emotional. While at SunTrust, I found love again with my second husband, John. We were married in 1998. However, this marriage necessitated relocating to the east coast of Florida, where I began working for a residential real estate attorney. I learned about many of the legal issues related to real estate transactions, as well as the title side of the business during this time. In 2002, my husband and I moved to St. Petersburg to begin my new career in real estate. We drove in across the Howard Frankland Bridge for the first time, I had that beautiful moment of clarity when I got “that feeling” – the feeling that I was home! Studying and earning my real estate license that year, I started selling. I have lived here now for 15 years and have functioned at the multi-million dollar producer level since shortly after I began my career. Although my business has grown and I have created jobs for three assistants to help with the support roles, I am dedicated to work closely with every single one of my clients because I love what I do; helping them with my abilities, experience, and vision to travel their own journey to home ownership…or freedom from it when the time comes. The added beauty is that this path looks different for every person, and I get to appreciate the unique journey I share with each client. St. Petersburg is our home and I absolutely love it! Through a loyal and mutually rewarding relationship, I apply my experience to help clients with their real estate needs, always working with honesty and integrity. Thank you for visiting my website. I think it is important for prospective clients to learn about who I am as they begin to work with me. My journey to this time in my life has not always been easy, but looking back, it seems clear to me that my experiences led me to right where I belong! My hope is that by sharing my journey, you will appreciate my knowledge and experience. Almost 85% of my business comes from past clients whom I have helped on their real estate journey. Invite me to help you with yours! Karina Bakalyar – Office Manager, runs the office full-time for the Rebecca Stewart Group. She coordinates the activities for the transactions under contract and document preparation. Making sure we comply with Florida Law and compliance is one of her many responsivities as well. She handles the logistics of helping to set up showing appointments. She also works on the behind-the-scenes activity for new listings and keeping in touch with our beloved clients and referral partners. Karina has been successful in her previous positions and we are excited that she has brought her talents to the Rebecca Stewart Group. 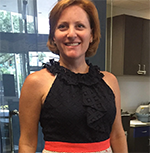 Jennifer Crone, Marketing Director, has been working with the team for over 10 years. She makes sure the behind-the-scenes activities move forward on time and the clients continue to receive information after the closings. She helps with the emails regarding listings, solds, and the monthly newsletter. She even authors some of the content. Additionally, Jennifer provides support for Rebecca in setting up showings, tracking finances, and any other help which is needed. She has been invaluable in providing the service that our clients have come to count on from the Rebecca Stewart Group. Julie Bowman, Rental Coordinator, has been working with the team for over 4 years. She handles the behind-the-scenes logistics of the property management portfolio. She assists with communication between the tenants, vendors and Rebecca throughout the term of the lease. She facilitates the bookkeeping and tracking of expenses and document compliance. Julie also helps with other important tasks which arise and has also brought her graphic design skills to enhance the business. She is a valued member of the Rebecca Stewart Group. Together with the St. Petersburg Sunrise Rotary Club, Rebecca is proud to share "The Free Reading Program". This is a free, web-based literacy program for children in grades K-6. To access the program, please visit: Free Reading Program. Rebecca earned a spot in the annual Pinellas Realtor Association's Top 100 Agents for 2016! In April, Rebecca joined fellow Sunrise Rotary Club members serving dinner to participants in the Wounded Warrior Sailing Camp. This Basic Training is designed to teach active military and veterans with disabilities to sail and basic sailboat racing. Rotarian Rebecca Stewart received her Paul Harris +1 sapphire pin. Paul Harris fellows, named in honor of Rotary's founder, support the Rotary Foundation with financial donations. Congrats Rebecca! Rebecca, a member of the St. Petersburg Chapter of the Daughters of the American Revolution, worked with other volunteers in May and November to place American flags on the known Veterans’ grave sites in Lincoln Cemetery to commemorate their service to our country, as well as to clean up the cemetery in general. Rebecca has partnered with Dave Ramsey to bring a financial program to Northeast High School and Canterbury High School. The St. Petersburg Opera Guild helps provide financial support to the St Petersburg Opera Company and promotes vocal competitions to promote up-and-coming singers. Rebecca has recently joined the Board as the Treasurer. Rebecca Stewart is a licensed Realtor® with RE/MAX Metro in St. Petersburg, Florida. © 2019 Rebecca Stewart Group • All rights reserved.